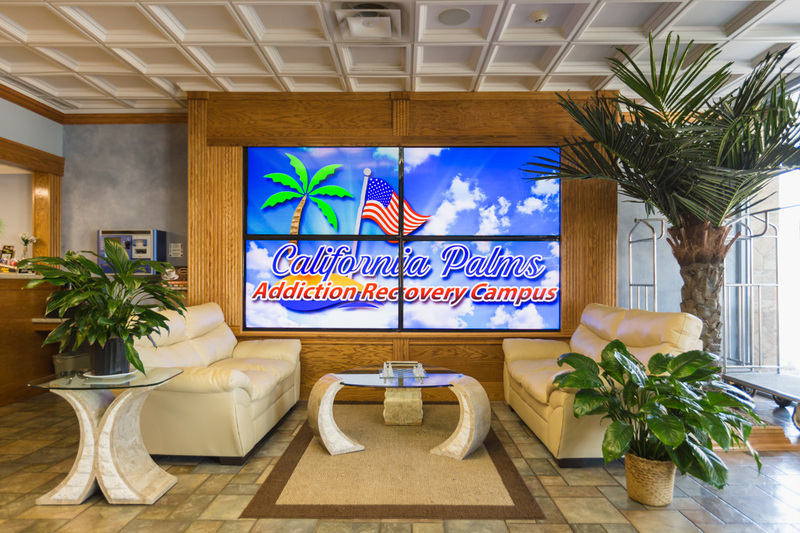 The California Palms primary objective of the Substance Abuse Treatment Program is to promote health, and wellness through the prevention and treatment of substance abuse, veterans drug addiction, alcohol addiction, heroin addiction and opioid addiction among veterans and military. 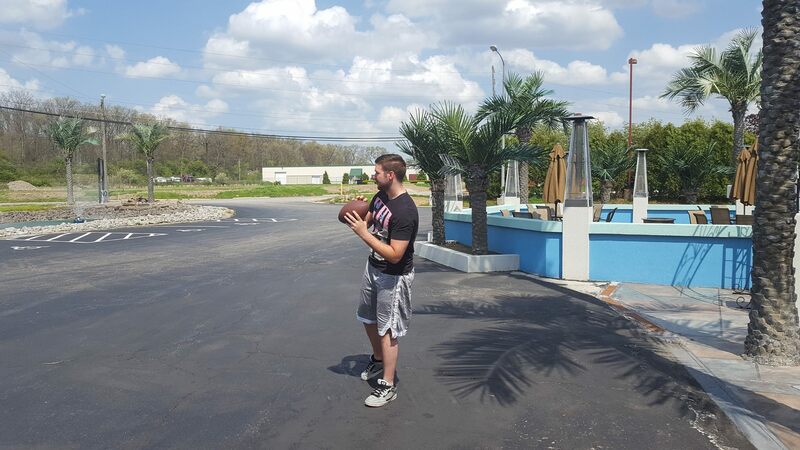 we offer residential treatment to minimize the negative consequences of substance misuse and abuse to the individual, and family, and to provide treatment to individuals who experience problems attributed to substance misuse or abuse, to restore function and return substance abusers to active life. The California Palms provides evidence-based substance use disorder inpatient treatment that follows the clinical practice guidelines. The primary aim is to improve quality of life, and return members to productive and unrestricted duty, or to assist them in their transition to civilian life, as appropriate. 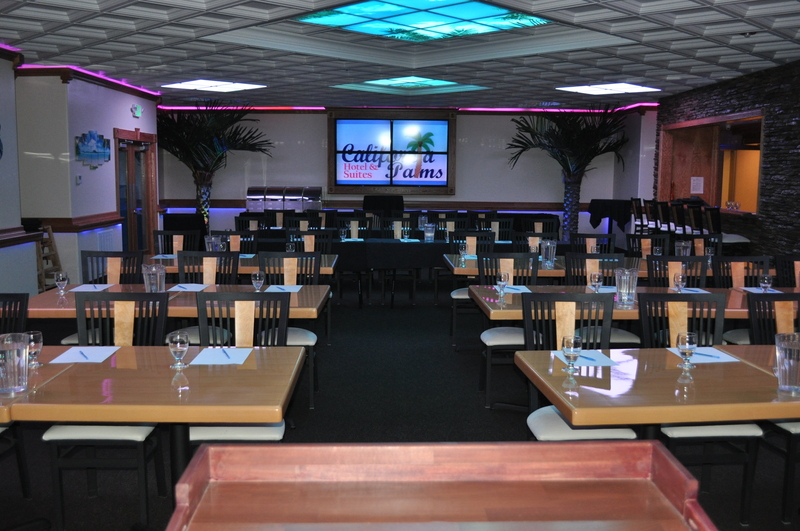 The California Palms provides evidence-based substance use disorder services that adhere to clinical practice guidelines, as well as other DoD/Veterans Affairs guideline for the treatment of substance use disorders. Substance misuse prevention efforts are geared toward enhancing individual and unit resiliency, both of which can be compromised by hazardous alcohol use and SUDs. Prevention strategies must be comprehensively structured to educate and inform the overall population as well as specifically target higher risk populations. Treatment or prevention counseling for all patients should be based on thorough assessment (e.g. Substance Use Assessment Tool, clinical interview, and collection of collateral data as appropriate), determination of risk, and should be tailored for the individual. Evaluation for specialty treatment requires a thorough biopsychosocial assessment that adheres to evidence based clinical practice guidelines from VA/DoD. The initial assessment is utilized to make treatment recommendations. The Palms does a complete review of the resident’s medical history, including a thorough medication reconciliation. This can help providers uncover potential poly-substance abuse disorders, identify drug-seeking behaviors, and target therapy appropriately. Throughout treatment, providers periodically monitor any changes in the resident’s diagnoses. The 24-hour treatment setting for SUD provides a continuum of services capable of meeting the needs of individual under various levels of care. As individuals move throughout the continuum in their recovery they transition to levels of care of greater or lesser intensity, depending on their clinical needs and treatment goals. An individual with SUD may begin with intensive inpatient treatment only to find that a less intensive level of care, such as intensive outpatient treatment, is more appropriate. Our residential inpatient services are designed to improve the patient’s ability to structure and organize the tasks of daily living, stabilize the individual’s substance use disorder symptoms, to develop and apply sufficient recovery skills, and to develop and practice prosocial behaviors such that imminent return to substance use upon transfer to a less intensive level is avoided. The skilled treatment services include a range of cognitive, behavioral and other therapies administered on an individual and group basis; medication management and medication education; counseling and clinical monitoring; random drug screening; planned clinical activities and professional services to develop and apply recovery skills; family therapy; educational groups; occupational and recreational therapies; art, music or movement therapies; physical therapy; and related services. Comprehensive, multifaceted treatment is provided to individuals with psychological problems, and chaotic or unsupportive interpersonal relationships, and antisocial value systems. Treatment promotes abstinence from substance use, and other negative behaviors to effect change in the patients’ lifestyle, attitudes, and values, and focuses on stabilizing current severity and preparation to continue treatment in less intensive levels of care. We transition the levels of care throughout treatment in response to changing clinical needs and treatment goals. 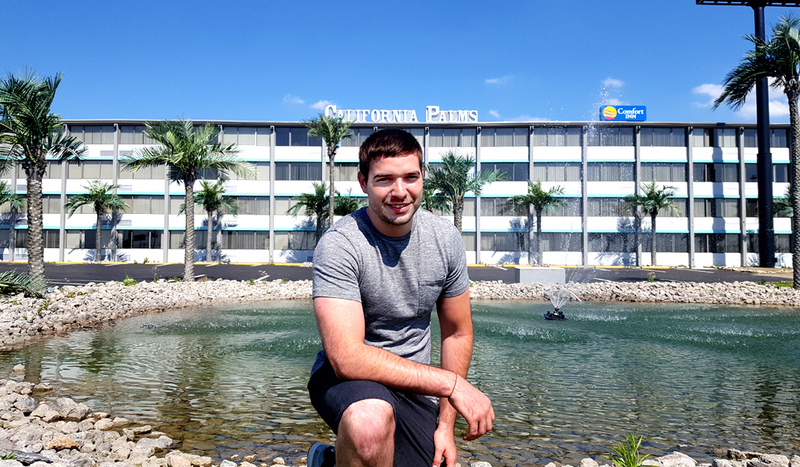 Our residential inpatient services for co-occurring disorders in a 24-hour treatment setting is appropriate for individuals whose primary problems involve emotional, behavioral, cognitive, readiness to change, relapse, or recovery environment concerns. Intoxication, withdrawal, and biomedical concerns, if present, are safely manageable in a 24-hour treatment setting. The American Society of Addiction Medicine (ASAM) industry guidelines are found in Treatment Criteria for Addictive Substance-Related and Co-Occurring Condition. The California Palms’ residential inpatient care in a 24-hour treatment setting provides the level of care found in ASAM Level 3.5 known as Clinically Managed High-Intensity Residential Services. Veterans alcohol addiction treatment rehab. Veterans Affairs substance abuse treatment program for drug and alcohol abuse.Help for Veterans who struggle with drug addiction to heroin, cocaine, prescription pain killer, meth, crack cocaine and other drug drugs that Military & Veterans become addicted to drugs. We are a VA approved residential substance abuse program who offers long time inpatient treatment for vets who struggle from drug addiction. Ohio Addiction Services for Drug Treatment Alcohol Rehabilitation Centers, Cocaine Treatment Programs, Heroin Rehab Facilities, Marijuana Treatment Centers, Methadone Detox Centers, Methamphetamine Rehabilitation Programs, Drug Rehabilitation Centers in Ohio, Ohio Long-Term or 90 Days Inpatient Programs, Ohio Drug & Alcohol Intervention Services, Ohio Drug Rehab Inpatient Treatment, 28 Day Drug Rehab Centers in Ohio, Drug and Alcohol Treatment Centers in Ohio for Heroin Addiction, Opioid Addiction Alcohol Addiction. Ohio Drug & Alcohol Rehab Centers for Substance Abuse, Akron, Alliance, Ashtabula, Aurora, Austintown, Avon Lake, Avon, Bay Village, Beachwood, Beavercreek, Bellbrook, Belmont, Beloit, Belpre, Bexley, Boardman, Bowling Green, Brook Park, Cambridge, Canal Winchester, Canfield, Canton, Carrollton, Centerville, Chagrin Falls, Chardon, Chesapeake, Chesterland, Chillicothe, Cincinnati, Cleveland Heights, Cleveland, Cleves, Columbiana, Columbus, Coshocton, Damascus, Dayton, Delaware, Dennison, Dover, Dublin, East Liverpool, East Palestine, Elyria, Fairfield, Fairview Park, Forest Park, Gahanna, Galloway, Gates Mills, Geneva, Granville, Grove City, Groveport, Hamilton, Highland Heights, Highland Hills, Hilliard, Hillsboro, Holland, Hubbard, Hudson, Indian Hill, Kensington, Kettering, Kings Mills, Kirtland, Lakewood, Lancaster, Lebanon, Leetonia, Liberty Township, Lima, Lisbon, Lorain, Loveland, Lyndhurst, Macedonia, Madison, Maineville, Mansfield, Martins Ferry, Marysville, Mason, Massillon, Mayfield Heights, Mentor, Middleburg Heights, Middlefield, Middletown, Milford, Millersburg, Mineral Ridge, Minerva, Montgomery, Moreland Hills, Mount Vernon, New Albany, New Lebanon, New Middletown, New Philadelphia, New Springfield, New Waterford, Newark, Newcomerstown, Niles, North Bend, North Canton, North Lima, Northwood, Oakwood, Oregon, Ottawa Hills, Painesville, Parma, Perrysburg, Pickerington, Poland, Portsmouth, Powell, Proctorville, Ravenna, Reynoldsburg, Rocky River, Rossford, Saint Clairsville, Salem, Sandusky, Shaker Heights, Sharonville, Sherrodsville, Solon, South Euclid, South Point, Springboro, Springfield, Steubenville, Streetsboro, Strongsville, Struthers, Swanton, Sylvania, Terrace Park, Toledo, Twinsburg, Uhrichsville, Walbridge, Warren, Washington Court, West Chester, Westerville, Westlake, Whitehouse, Willoughby Hills, Willoughby, Wilmington, Wooster, Worthington, Xenia, Yellow Springs, Youngstown. Alabama Alcohol Rehabs, Alaska Alcohol Drug Rehabs, Arizona Drug Alcohol Rehab, Arkansas Drug Alcohol Rehab, California Drug Alcohol Rehab, Colorado Alcohol Drug Rehab, Connecticut Alcohol Drug Rehab, Delaware Drug Alcohol Rehab, Florida Drug Alcohol Rehab, Georgia Alcohol Drug Rehab, Hawaii Drug Alcohol Rehab, Idaho Drug Alcohol Rehab, Illinois Drug Alcohol Rehab, Indiana Drug Alcohol Rehab, Iowa Drug Alcohol Rehab, Kansas Drug Alcohol Rehab, Kentucky Drug Alcohol Rehab, Louisiana Drug Alcohol Rehab, Maine Drug Alcohol Rehab, Maryland Drug Alcohol Rehab, Massachusetts Drug Alcohol Rehab, Michigan Drug Alcohol Rehab, Minnesota Drug Alcohol Rehab, Mississippi Alcohol Drug Rehab, Missouri Drug Alcohol Rehab, Montana Drug Alcohol Rehab, Nebraska Drug Alcohol Rehab, Nevada Alcohol Drug Rehab, New Hampshire Alcohol Drug Rehab, New Jersey Alcohol Drug Rehab, New Mexico Alcohol Drug Rehab, New York Alcohol Drug Rehab, North Carolina Alcohol Drug Rehab, North Dakota Alcohol Drug Rehab, Ohio Alcohol Drug Rehab, Oklahoma Alcohol Drug Rehab, Oregon Alcohol Drug Rehab, Pennsylvania Alcohol Drug Rehab, Puerto Rico Alcohol Drug Rehab, Rhode Island Alcohol Drug Rehab, South Carolina Alcohol Drug Rehab ,South Dakota Alcohol Drug Rehab, Tennessee Alcohol Drug Rehab, Texas Veteabuse, drug rehabs, opioid addiction, alcohol addiction, heroin addiction, or co-occurring psychological disorders rans Alcohol Drug Rehab, Utah Drug Rehab, Vermont Drug Rehab, Virginia Alcohol Drug Rehab, Washington Alcohol Drug Rehab, West Virginia Alcohol Drug Rehab, Wisconsin Alcohol Drug Rehab, Wyoming Alcohol Drug Rehabe Drug Rehab, Texas Drug Rehab, Utah Drug Rehab, Vermont Drug Rehab, Virginia Drug Rehab, Washington Drug Rehab, West Virginia Drug Rehab, Wisconsin Drug Rehab, Wyoming Drug Rehab.